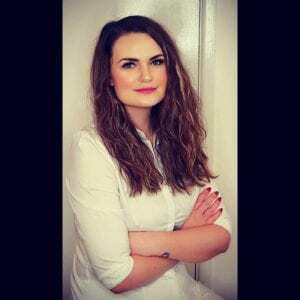 Daniela grew up in a small town of Jindrichuv Hradec in the Czech Republic, She moved to England in 2004 to further her education. Daniela studied at the University of Worcester where she achieved a first class BSc (hons) degree. 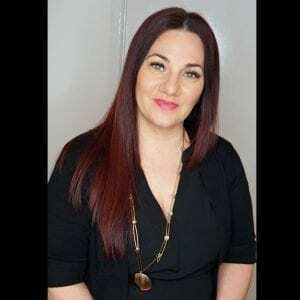 Daniela’s true passion lies within the aesthetics industry, with over 9 years experience she prides herself by helping her clients to look and feel their very best by enhancing their natural beauty and helping her clients feel more confident in their appearance. Sophie has lived in Cheltenham all her life and has always had a passion for beauty. Sophie is the clinic manager and she also specialises in all Lash treatments at the clinic. Sophie is there to welcome clients and to help you feel comfortable and at ease from the moment you walk through the door. Ella is originally from Sardinia and moved to Cheltenham with her family several years ago. She has over 5 years of experience in shellac and nail extensions she is very talented at creating the look you desire. Ella is also a very talented singer and performs on a regular basis in and around the town. Sabrina is Ella’s mummy, this makes the clinic have more of a family feel. Sabrina has a calming nature and exceptional listening skills this insurers she can deliver the best possible massage for her clients. She has over 20 years of experience with all different kinds of massages from around the world. Clients have commented how they can feel her energy and passion when she works. Anna is originally from Poland; initially she came to the clinic as a client for tattoo removal. 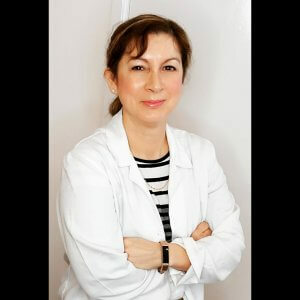 Daniela felt Anna’s empathy and kind personality was just what the clinic needed and decided to build a working relationship with her that has lasted for many years. Anna is responsible for the social media, website editing and part time receptionist, she is also a full time Mummy.